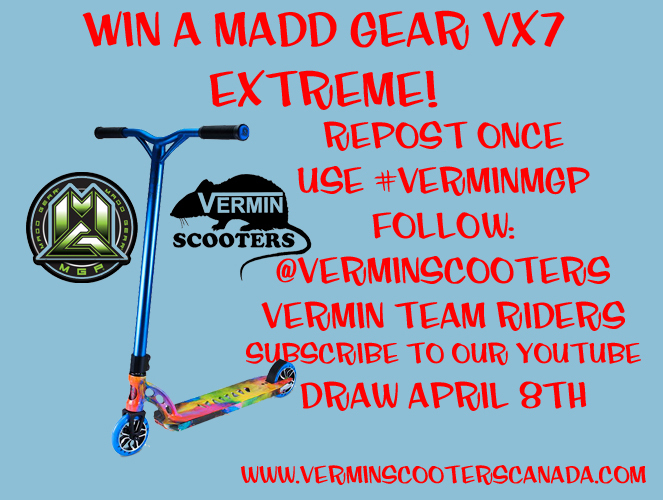 Vermin Scooter Shop: WIN A MADD GEAR VX7 EXTREME! WIN A MADD GEAR VX7 EXTREME! Go to our Instagram @verminscooters to enter! AFFINITY BARS AND CLAMPS ARE HERE! TILT TOMAHAWK 120 FORKS IN STOCK! WIN AN AO QUADRUM DECK! MADD GEAR PRO MGP VX7 HAVE ARRIVED!